I recently had the good fortune to be part of a fantastic outdoor production of 'A Midsummer Night's Dream' at the Roman Theatre of Verulamium with Ovo. It was a big cast involving quite a number of children (many from Best) and a lot of music. This meant the usual rehearsal process for such a venture was extended almost threefold - to cope with music rehearsals (for mostly non-musical types) and to rehearse in the kids. And this was my first time actually on stage acting in about 21 years! What was pleasing was how well behaved the children were. Yes of course they got a bit hyper from time to time but overall they were cheerful, co-operative and focused. And of course I was especially proud of the standards achieved by our Best cohort, including one simply outstanding performance in a role in which she was never really offstage. At age 14 in an adult cast (and sometimes in terrible weather) that was some achievement from Tanya S! Another nice surprise was the strength and attitude of the whole team - cast, creatives, management and crew. I'm trying to remember a cross word in the whole process and I just can't (not even from my Hippolyta, Jill, when I got the swordfight wrong. Again.). Even when the skies opened the smiles stayed resolutely glued to faces. It was a wonderfully happy, challenging and exciting experience which made me so pleased I decided to take that big step back onto the boards. Jill politely points out where I went wrong. The whole thing reminded me of why we spend so much time at Best and in the theatre world in general 'playing'. It builds friendship, trust, openness, honesty and a sense of belonging. It also reminded me that there genuinely are 'no small parts, only small actors'. There were some brilliant cameos - a drunken Moonshine, crazy Lion and a mad Cobweb spring immediately to mind - and my role was but fleeting. But I don't think any of us for one second felt that we weren't an absolutely integral part of the whole machine. But mostly it brought back to me why I fell in love with the stage in the first place. There is simply nothing like being on stage - it's terrifying, exhilarating, you are totally reliant on others and they are totally reliant on you. We try to see as much theatre as we can as it's obviously important for us to stay in touch with what's happening in the 'real' world. In our travels we come across gems and turkeys and you get to wondering how turkeys reach the table? Especially at venues like the National Theatre. Two recent examples were 'Salome' and 'Common'. It was a bit like being whacked around the head by a religious tome whilst being declaimed at by a ranting radical poet. 20 mins in I was battling for survival and by the end the cast looked like they'd been thumped too. The most low energy curtain call you will ever see! And to be fair the critics were even less kind on both shows. So how does so much money get thrown at these productions and is this right? Both shows were new commissions and both from established playwrights - Yael Farber (Les Blancs) and DC Moore (Town, War in Afghanistan) and it's great to see new works being encouraged onto the big stages. But surely at some stage of the creative process there needs to be a level of quality control? The problems with 'Salome' in terms of style and pacing were so obvious one wonders what Rufus Norris does for his day job. And I understand 'Common' went through scything cuts during previews but even these failed to help the play make sense (or be any less annoying linguistically). Salome in particular was very big on tech. It looked fantastic - 'all fur coat and no knickers' as the saying goes. But at least they were both NEW! As for Gems, in amongst the triumphant revivals (e.g. 'Angels in America'), classics (Andrew Scott's Hamlet) and more modern re-takes (Life of Galileo) that we've seen recently there needs to be room for new things to be tried and to fail or else theatre descends into entropy with endless sure-fire, seat-filling old favourites. And it is interesting that three of the biggest 'transfers' of recent years, 'The Curious Incident of the Dog in the Nighttime', 'War Horse' and of course 'Harry Potter' were popular books before theatrical development. so maybe a little more safe. The next 'classics' are still unwritten, so with the caveat that sometimes it's better to try out these things on a smaller scale before ploughing huge sums into shows, we cannot go forward without the ability to fail. And in some cases, fail spectacularly. So we salute you, National Theatre, and especially the Travelex sponsorship which means we don't have to shell out to much for seats to watch failures! 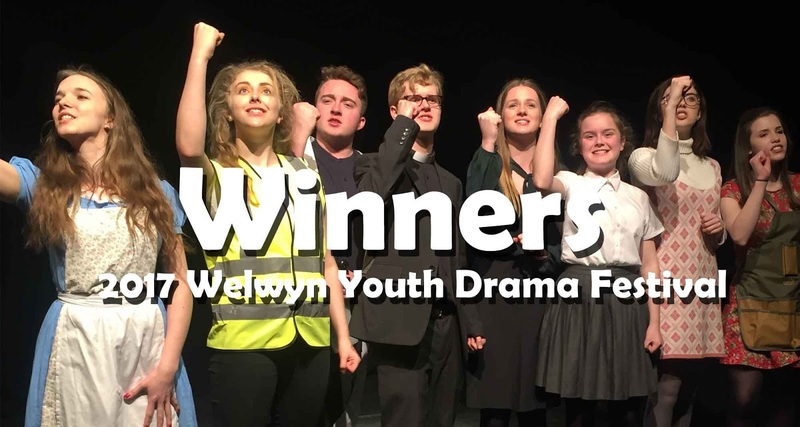 It's rare to say any production is 'without blemish', but that's what the Adjudicator said of our recent production of 'Just' at the Welwyn Youth Drama Festival before awarding it first prize and the Adjudicator's Prize for our chorus work. A tremendous achievement for the group, but tinged with sadness as it will be the last production at Best for most of the cast. But on further reflection there is a warm glow of satisfaction as we see them fly the Best nest. In their time with Best, each has faced and overcome their own challenges. Each has their own individual blend of ability, hard work and commitment. And bearing in mind we have NEVER auditioned for this group, all they have achieved is down to their talent, attitude and receptiveness to input. They have each taken their own very different route to where they are now. Some joined us in First Class as 4/5 year olds and developed through Best, Best School of Acting and TheBYTE. Others joined us later, already committed to theatre, and brought with them new energies and artistic dynamics. They come from very different family backgrounds and school experiences. But they have forged unbreakable social bonds which we hope/trust/know will last them for many, many years into their adult lives. Yes, they've enjoyed huge success with Just and at the National Theatre in 2015, but they were merely points of validation. So as they head off to university, RADA and LAMDA they have a foundation of absolute trust, genuine respect, huge confidence, close friendship and (yes) love upon which to base their futures. Hard on their heels comes the next super-talented bunch and we are excited to think what they might achieve too. 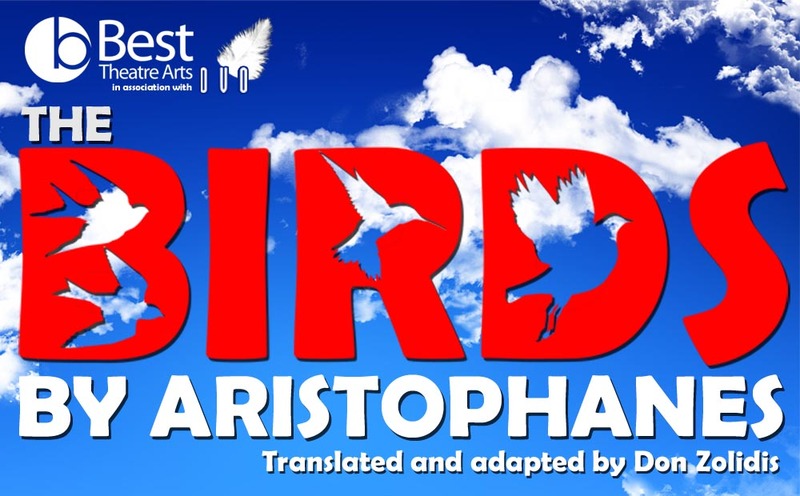 'The Birds' at the Roman Amphitheatre of Verulamium is their next big challenge. Come and support them - tickets available here! And now we're recruiting the next team of young people from years 7,8 and 9 who will blaze their own exciting trail over the next few years. A brief moment of calm on a train to take a deep breath in the middle of what is the busiest period we have ever had at Best - 9 full public shows and 3 private showings in the space of 4 weeks. Add on the dress rehearsals and techs for each show and the costuming, marketing and administration and you'll start to get an idea of what we've taken on. 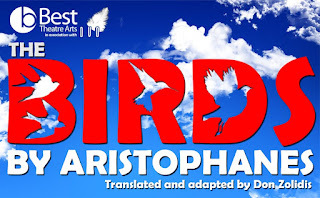 If we total the casts in each performance we get 364 young theses treading the boards at 6 different venues. We (Annette, Lisa and I) often discuss the realities of working in the theatre world - 99% of it is plain hard work! Loading vans, lugging stage weights, packing costume, screwing bits of wood together, painting wobbly bits of set, sorting out non-functioning tech, sourcing bizarre props from unlikely sources, organizing casts etc. at Best most of the cast and the parents are totally removed from all of this and perhaps it's only when they get to TheBYTE that they begin to appreciate some of these aspects. And for people like us it becomes what they love about the theatre. Getting shows on no matter what the odds. Doing the jobs that need doing. Putting in the hours. All without complaint and with a smile. All for one and one for all! We insist that our students show absolute aspect to any member of theatre staff they meet, whatever their role. This is why we were so thrilled with the way TheBYTE conducted themselves at The National Theatre in 2015- exemplary. And hopefully they will exercise the same courtesy whatever exalted heights they reach in their careers. It is this kind of grounding that makes a true professional - not someone seeking shortcuts through reality TV or the diva histrionics so beloved by gossip columns. A true professional understands just what it takes to get a show on and even if they are called to the stage from dressing room #1 or to the set from a luxurious Winnebago that grounding in reality will earn the respect and cooperation of any crew. Never forget how much hard work of so many people has given you the platform for your success! Almost every parent talking to us about their little one joining our First Class theatre group (ages rising 4 to 6) thinks their child is shy. Can I just begin by reassuring you all – wariness of new situations is perfectly normal and even healthy - we feel the same as adults, we just don’t have a parent’s leg to hide behind anymore! How you deal with this, however, is often the key to how well and how quickly the child integrates into the new environment. We strongly encourage that you ‘drop and go’ as speedily as possible. Any tears are very short-lived and usually for your benefit! In fact we can count on the fingers of one hand the number of times we’ve had to call a parent back over the last 18 years. If you are feeling worried or insecure about how your child is feeling, this is perfectly normal too, but if you let your own personal feelings on the issue show, the child will pick up on them in a flash and will make sure your leaving is as traumatic as can be. First Class is there to help your child build confidence, sociability and concentration whilst having lots and lots of fun! Schools like ours are completely comfortable in helping new children integrate happily and quickly and you can trust us to know the difference between a show of reticence (however Oscar-worthy) and genuine distress. Drop and go (and have a nice cup of tea and a cake). Your child is in First Class hands! There are so many theatre schools now it's an almost impossible task to choose. In St Albans alone there are at least sixteeen (yes, SIXTEEN!!) so how on earth can you make a comparison? In this brief blog I'll try and make the journey easier for you (and although I need to declare an interest as founder of Best Theatre Arts, I'll try and stay neutral). There are the basics, like OFSTED membership, DBS checks on teachers, convenience of location, timings, price etc etc - but let's presume all this is equal. The best method is word of mouth. Ask people you know and trust. At the very least this will greatly narrow down the field for you. Then speak to the owners/managers - the people at the top. It is from them that the culture and approach of the school will permeate. Get a good feeling from them and this bodes well. Are they interested in you/your child? Can they describe a cohesive approach to development? Do they have the right energy and drive? What are their core guiding principles and values? What is their staff profile? What is their background? How do they interact with the children? This is best done by visiting the school and meeting them. Some offer a free trial, others (like us) a paid trial which is then deducted from fees. Free trials are just that - no commitment, no outlay. The upside is it's entirely risk free and you can tour lots of schools until you find the one you want. The downside is that you get one week to make a choice. We've tried free trials at Best but reverted to a paid two week trial (two weeks for the price of one with the cost deducted on continuation). We think this gives the child and parent a much better chance to evaluate fully the school and its approach (and us) before committing. And from our viewpoint we get a more committed and interested child and parent to meet (and fewer people just not turning up). The downside is it costs you money - (£13.50 in our case for little ones) - so it's more expensive if you want to try out a number of classes. There are also 'open days' where parents and children get to meet and try out classes. Again this is risk-free and is favoured by the larger franchises as an efficient and well-tried way to bring in immediate numbers. The upside is it's free and potentially quick. The downside is you know it has all been set up for that day and to a process - it's not business as usual so you won't get a real feel for the school in action as you would with a free or paid trial. So, in a nutshell - ask friends, speak to the boss, visit the school, pick a trial. Firstly, there are the mega franchises/managed units - including Stagecoach, Theatretrain, Pauline Quirke, Perform, Jigsaw. These have centralised slick systems to manage their activities which are run by franchise holders or centre managers. The real advantages here is that their processes and syllabuses are tried out in (literally) hundreds of other schools across thousands of students so you know they work! There'll be lots of goodies too (uniform, newsletters etc), agencies and often the promise of a West End showcase. These companies could not have got where they are without doing what they do very well indeed - thousands of students and parents can't be wrong. The downside is that you are very much part of a (albeit benevolent) machine and whilst the personality of the franchisee/manager can make a difference, their flexibility to adapt to changing dynamics within their franchise parameters is somewhat limited. Then there are the larger independent companies - TopHat, Theatrix, Act Now, Hurst Children's Theatre, Living the Dream, Excel and, of course, Best Theatre Arts. Each of these is run directly by the owners and each has its own very distinct culture. The downsides - systems might not be so slick and the variations in approach from owners mean that the schools are very much more individual in tone and culture. For example, some will be suitable for the more ambitious parent/child whilst others will focus more on the achievements of the whole group. You may find to that in some instances the owner takes a very high personal profile/brand whereas others manage more discreetly. The upsides are these are local companies which are a genuine part of the community, and if you find the school with the right culture for your child you relationship as a parent with the group will be much more close and engaging. You may also find the staff to be long-standing which helps considerably with the consistency of approach. Finally there are the small independent companies - Fusion, Little Stars etc. These will be even more directly influenced by the owner and may not yet have built the customer base to get adequate verbal references. But all good schools start from small beginnings and in many ways size doesn't matter. The downsides are that resources may be limited and staff coverage not quite so robust. So no school can legitimately claim to be any better than any other - it's all 'horses for courses'. But it is worth investing the time to go through a selection process - these schools are not cheap and you could be making a significant investment in your child over a number of years (14 years is our record!!!) - its worth taking the time! Don’t Put Your Daughter on the Stage, Mrs Worthington! Part 1 – Why? - who knows who may go on from here to a stage career? As the co-founder of Best Theatre Arts I often get asked what advice I’d give to a parent with a child who seems keen on a career in the theatre. The glib responses of “Don’t worry they’ll probably get over it!” or “Start saving!” don’t really cut the mustard any more. With the explosion in reality TV and the realisation of how important theatre skills are for life, more and more children are getting a taste of the stage; a taste which can turn into an addiction. There are so many routes available to a career on stage that there’s no right or wrong answer – the right path will genuinely vary from child to child. So in a series of blogs, starting with this one, I’ll look at the various career paths open and discuss their relative merits and drawbacks. “He was in a school play and everyone said how good he was so we thought we’d see if he’s really got anything.” – a good reason to try a drama class but no basis for a career! To be an actor requires total commitment, unwavering optimism, strength of character and a resilient determination to succeed. Stories of instant discoveries and fame might sell papers, but they are the extreme exception rather than the rule. Most actors work hard for years so that when an opportunity does come along, they have the skills and technique available to make the most of it. And even then it can take a few knockbacks before their career becomes at all robust. The drive has to come from within. This is why so many child actors fall by the wayside – the drive has often come from aspirational parents. And with early success, the lessons and training that need to be undergone are often bypassed so that when the child grows up, they simply don’t have the toolkit to compete any more. So I’d expect the child in question to be doing everything he/she possibly can to gain experience. In our area or Hertfordshire, thankfully, they are spoiled for choice (DECLARATION OF INTEREST ALERT!!!) : well-resourced school plays, good amateur shows/pantomimes, quality weekly classes or holiday courses (e.g. Best Theatre Arts, Stagecoach, Act Now! 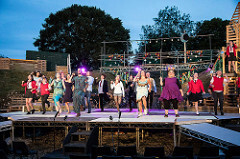 ), and the chance to take part in larger theatre productions with organisations like Rare, St Albans Operatic Society or the Gang Show. 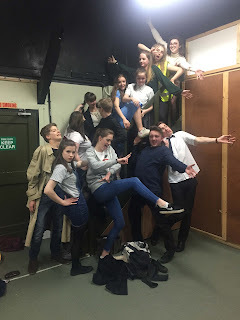 As the young person turns teenager they’ll be trying to hone their talents through more focused training: GCSE/A level at school, good quality youth theatre companies run by trained professionals (e.g. TheBYTE, Company of Teens), attending more advanced weekend schools (e.g. Best School ofActing, Bodens, Italia Conti, Guildhall) or working with some of the more advanced local theatre groups (OVO, Breakaway) etc. etc. They will be doing everything they can to improve, to learn the craft and to gain experience. 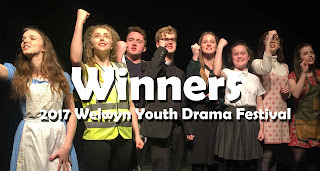 Recently a very talented young actor came back from watching Imelda Staunton in ‘Gypsy’ and said “Now I know how little effort I’ve put in so far – and I thought I was working hard. Watching her has shown me how much more I need to give in training and on stage.” This was a fascinating response to a stunning performance. I’ve had similar inspirational Damascene moments when watching Mark Rylance in ‘Jerusalem’ and ‘Twelfth Night’ (well, anything he does really). Now matter how talented you are, it’s hard work! So, in conclusion, if your child genuinely has the drive, the demonstrable commitment and the right work ethic, and you are prepared to support them in these endeavours, you have a base from which to move forward. Next time I’ll discuss child actors and how that ephemeral industry works!